EDINBURG — Two Facebook pages that routinely accuse elected officials of committing a number of violations have been taken down after the mayor and mayor pro-tem here issued cease-and-desist letters last week. 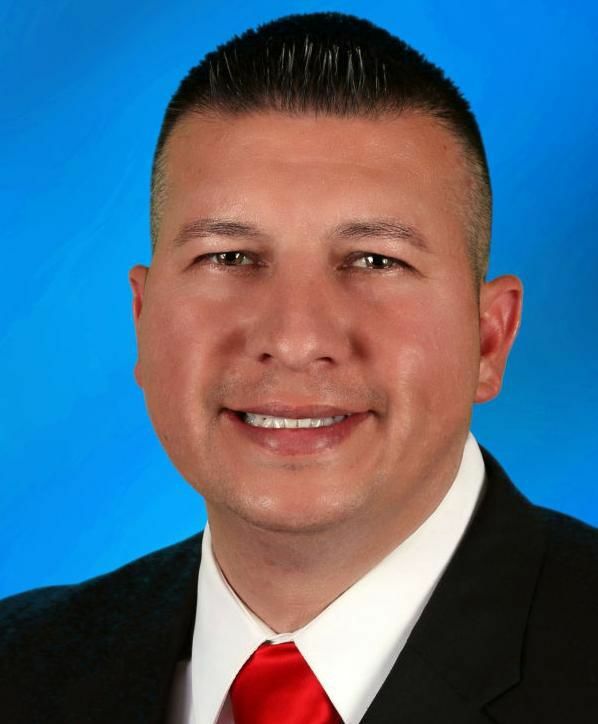 The removal of the Johnny Casey and Anonymous RGV pages on Facebook appears to be a victory for Mayor Richard Molina, who is facing mounting pressure after KRGV-TV aired a news segment linking the mayor to voter fraud. However, it’s unclear if the pages were voluntarily removed or were subject to Facebook policy. The pages are operated anonymously by rival political factions and often publish copies of public records that support their agendas. For months they have openly discussed instances of voter fraud, warning arrests are near. The pages provide an outlet for concerned citizens and trolls alike to voice their concerns, and once in a while, their assertions are accurate. Texas Rangers are working with the Texas Attorney General’s Office to investigate potential wrongdoing in the city’s November election, according to Texas Department of Public Safety spokesman Johnny Hernandez. Edinburg spokeswoman Cary Zayas declined to comment on the issue. “The city didn’t run that election so I wouldn’t be able to comment on that,” Zayas, a former KRGV-TV anchor, said in an email Saturday. Zayas previously found herself the subject of a post, which asserted weeks before she was hired that she would land the position as city spokeswoman. Zayas, however, said she applied for the job only after the position was opened, rejecting the idea of any wrongdoing on her part. Molina has denounced the notion that he committed voter fraud and issued a press release last week that alleged the TV segment was politically motivated, biased and had been waged as a result of a political vendetta against him by former Justice of the Peace Mary Alice Palacios. Palacios filed a lengthy complaint with the Secretary of State’s Office about a month after the election, alleging Molina and his supporters had conspired to swing the race through various methods, including changing voter addresses for people living outside the city limits so they could otherwise cast a ballot. The Monitor obtained a copy of the complaint Monday, which includes more than 100 pages of affidavits, photographs, texts, public records and spreadsheets that allege malfeasance. Palacios painstakingly put together a case against the mayor and several of his supporters and sent it to the state’s election fraud division Dec. 6, according to the documents obtained. Molina did not address the content of the allegations in his news release, and instead shifted the focus onto the voter. He declined a formal interview with The Monitor and lobbed his own accusations against Palacios’ family. “We are aware of several Palacios family members and political supporters whose voter registration form does not represent their true address of residence, and if so, these voters committed voter fraud in every election that they have voted in with the false address,” Molina said in his statement. The mayor and his attorney Rick Guerra, of Guerra Days Law Group, countered that Palacios was motivated to file a complaint because the city commission terminated an insurance contract with Nino Insurance Group, which they said is tied to Palacios. Palacios’ nephew served as the city attorney for about a decade under former Edinburg Mayor Richard Garcia. He stepped down from the post shortly after the election concluded. The Monitor reached out to Palacios on several occasions, but she declined to comment. Last week, Guerra sent a cease-and-desist letter to the Johnny Casey and Anonymous RGV Facebook pages on behalf of Molina and Edinburg Mayor Pro Tem David Torres for “disparaging remarks” made on the social media site and alleged defamation. Torres could not be reached for comment Monday. Molina’s attorney demanded all posts involving the two elected officials be deleted by May 10, and the two pages appeared to go inactive Sunday afternoon. Molina also tried to stop KRGV-TV from airing its news segment by sending a cease-and-desist letter a day before it was scheduled to air, according to Guerra, but the move proved futile. The station aired the segment, titled “Tilting the Scale,” April 26. Edinburg council member Gilbert Enriquez, who was also on the November ballot, said he was not concerned by the recent developments. His name has managed to stay out of the conversations involving alleged voter fraud. Council member Jorge Salinas, who was also on the ballot, echoed Enriquez’s sentiments. “I can speak for myself. I have nothing to hide,” he said. Salinas is also named in the letter Palacios sent to the Secretary of State’s office, which the state forwarded to the Attorney General’s’ office for investigation, but he is misidentified as Jose Luis Salinas, instead of his given name, Jorge Luis Salinas. Salinas appeared to echo the mayor’s belief that voter fraud has long been an issue in the area.